I’m a big fan of measurement, metrics and visualisations. I’m not a big fan of the amount of work it can take to set up those metrics. So I was excited back in 2013 to find an article listing six tools to help visualise data, my original post is below, and the original article I referenced is still online. Five years on and the tools are mostly still around. The company still exists and provides comprehensive data analysis, visualisation and predictions. There’s strong integrations with other tools and programming languages. They’re aiming at the corporate market with enterprise pricing options. There’s still a free option and a subscription option for individuals but their focus seems to be more at the company scale. Disappeared? I suspect some of the data features are still available, but the tool itself has been retired. Makes infographics in a really simple way, but need to upgrade for any downloads. I so want this tool at work though, I made the infographic scorecard on the right in a matter of minutes. Doesn’t seem to be a stand alone product any more, but has been absorbed into IBM’s data tools, that’s fine, but IBM focuses on the corporate market – and is often at the pricier end of the market in my experience. Statwing was bought by Qualtrics in 2016, it remains a stand alone tool with the same focus on statistics, you’ll get insights into data, be able to apply statistical tests easily but the output isn’t as designed as some of the other tools. As luck would have it I now have access to the subscription version of this at work but have yet to play with it. It’s a powerful tool for visualising data and you can wander through the public gallery to see what the possibilities are – including a visualisation of the shape of national happiness. The great thing is that you can always drill down into the data.We will be doing some stakeholder analysis early next year and I think this tool will be a great way to visualise the results. Five years since my original post and I’m still geekily enthusiastic about data visualisation tools. I’ve spent about an hour playing with these tools, I’m loving Statwing, and will use it to analyse some of the data we’ve got on adoption of new technology. The Infogram tool also has potential to help present data in a more appealing way. The iPad was announced in January of 2010, and launched in April. I was scathing. I couldn’t see what it was for, there was a lot it couldn’t do and I thought the name was terrible. Six months later I bought one, and I still have it. It’s still limited, but as a portable home entertainment centre it works well. But it’s funny to read how negative I was about it. Mind you I wasn’t alone, Gizmodo, NY Times and Jezabel also saw the same issues. So the iPad was finally announced after a run of rumours over the last month or two. It won’t be launched until March/April, but there’s already a fever of anticipation on twitter, with about 1000 tweets per minute. As far as I can tell from the launch video the iPad = kindle + iTouch – iTunes wrapped up in Apple’s high design ethic. There are already big theories about what it will do, including making higher education irrelevant. The scenario described is more or less using iPad as a tool for eLearning – but eLearning is already used in masses of university and executive education that I don’t see having a new tool as an obvious game changer. If Apple can get enough of the educational material online then perhaps it will transform educational publishing – that is not the same thing as higher education. So what will it transform? It’s finally a competitor for Amazon’s best selling Kindle, and it’s priced to compete with Kindle, sort of. Kindle is at 259USD and the iPad starts at 499USD, there’s a quality difference and then there is the usual “apple premium”. So although Kindle has already developed a market share, and developed agreements with publishers to ensure a steady stream of new content, they might be pushed to improve the reading experience. I suspect the transformation will hit the publishing industry and the web/design industries. Both will push the boundaries of current web design to create content – including video and apps – that will be worthy of the iPad – because it is a thing of beauty. The flow of content might follow the example I wrote about earlier this month regarding Digital Magazines. There are issues, lots of them; some, like the lack of Flash and limited browser, can change relatively easily. But the biggest we-are-all-12-years-old-again issue is the name, calling this iPad just shows they have too many boys in their marketing department. 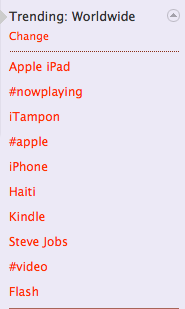 Women immediately connect the name to menstrual pads (see list of twitter trending topics above). Ignominious start for something billed as “the best web surfing experience”. By 2020 72% of workers will be working remotely according to Microsoft, which explains the motivation for the partnership they’ve entered with Spaces to create a new workspace at Schiphol in their old office building. Many of us already do work remotely for at least part of our week. I can work from one of two offices or from home, I just need my laptop and wifi, in fact we have such good tools available that no-one would even know which location I was working from. Remote working has been on the rise for at least the last decade, as tools have improved it’s even become a more productive option. But who is it good for? Proponents of remote working schemes often promote the benefits to the employee, and they do exist. But work is social, and we’ve learnt how to work and manage teams in a social context, so what happens when some of that social context is removed? Is this whole hot desking thing really good for everyone? Not necessarily. Anyone who has worked in a flex-desk office will recognise some of those issues, but smart design and good tools solves at least some of them. In my current company we tend to sit in teams of colleagues so finding each other isn’t hard. So what about the real costs? Well there’s a financial saving for companies but are there extra costs for employees? In a recent Buffer survey of people working remotely around the world employees bear the cost for internet connection and workspace if a co-working space is needed. So the financial burden of office space has been passed to employees, given that 28% of the respondents report earning less than $25,000 per annum this seems exploitative. If we’re all working remotely when will companies recognise this cost to employees and start finding ways to compensate? Perhaps that will become the deciding factor for remote workers looking for a new job. After all if location isn’t a factor in a job search we can be hired by anyone, anywhere. If you’re in the EU you will have been bombarded with messages in the last few weeks, emails from everything you’ve ever subscribed to, forced logged out of apps, and screeds of new terms and conditions to read. It’s all because of GDPR, the European General Data Protection Regulation. 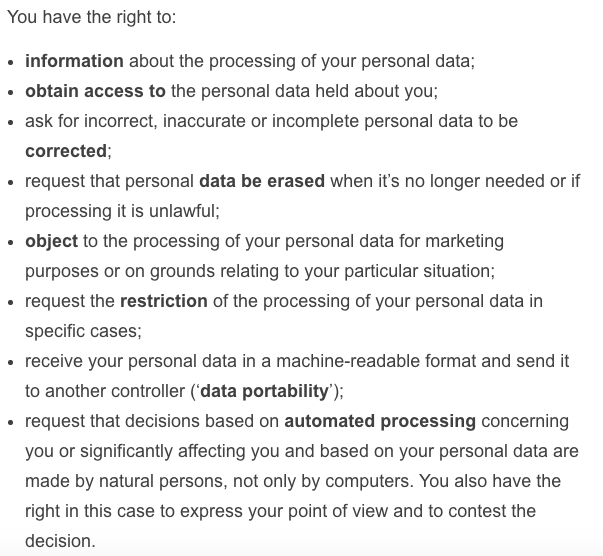 The responsibility rests with companies to obtain clear consent from you, and you must opt in to receive information from them, the law states that “pre-ticked boxes are not considered to be valid consent under GDPR”. The law also recognises that consent is not always possible, for example an employee cannot consent to be supervised by CCTV for a productivity issue – since there is a power imbalance between the employer and the employee. The penalties for companies are steep, up to €20 million, or 4% of the worldwide annual revenue of the prior financial year, whichever is higher. No wonder companies are working hard to set up good privacy systems. That’s until you scroll and find out that there are 53 companies other than Fast Company who get access to your data, and they get your data not just from Fast Company but also from other sites which use these companies – that’s code for tracking cookies being set on your computer so they know which site you use. I work in digital and I have heard of about 8 of these. There’s no way anyone has time to look through the conditions of all these sites and evaluate what is being done with the data. Fast Company made a list of companies that hadn’t made the deadline, of their list Klout and Super Monday Night Compat have shut down for good, and A&E Networds, Crowdpac and History.com have managed to put a solution in place in the week following the deadline). On the upside perhaps I will end up with less spam. A friend of mine who returned to New Zealand a decade ago commented “maybe the recruiters who haven’t believed my unsubscribe requests will finally figure it out”. Let’s hope. I have had a few emails that stated “confirm now or we’ll never email you again”. One sure prediction is that the new year will bring a slew of predictions, some glowingly optimistic and some confidently pessimistic. I’ve sifted through the predictions in the digital world, and here’s my summary, plus a New Year’s gift. As the use of big data, algorithms and the digital technology has evolved artificial intelligence has moved from the esoteric into real world. It turns up in marketing, with a series of caveats. It’s behind an app to identifying snakes, with caveats about what that does for our relationship with nature. It’s contributing to how we brew beer and AI is what makes chatbots smart enough to be helpful. The Webby Awards Trend report notes that we still trust humans over AI, but I suspect we’re not always aware of where AI impacts our lives. We will see more practical adaptations of AI in 2018. 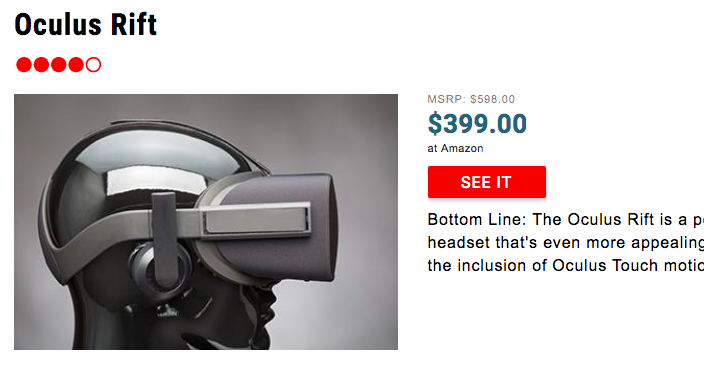 I like the idea of virtual reality, but my experience so far has been that it doesn’t add enough to my experience to compensate for the awfulness of the headset. Frankly I’d rather read a book and imagine the worlds. So the story-telling in VR needs to improve, and the devices need to get better. So far the biggest use seems to be in gaming but even there users are underwhelmed, the Economist reported in December that VR has failed to live up to it’s hype, and added that there is a “distinct whiff of urgency in the air” as VR struggles with poor equipment and unsatisfactory content. The devices are starting to get lighter and prettier, however they’re still relatively expensive. Will 2018 be the year that the devices and the experiences improve? Blockchain is the technology behind bitcoin and other crypto-currencies, it has other uses in making digital information exchange more trustworthy. Estonia has piloted an e-voting system for shareholders, which Nasdaq deemed successful. The United Nations World Food Programme is testing it as a way to distribute aid in refugee camps. We’ll see these tests scale more widely along with more novel uses, I’m sure there are smart people out there looking at how blockchain could be used more broadly to securing our online identity. Bots get a lot of bad press, they were exploited in the 2016 election and throughout 2017 to deliver false information to a screen near you, eroding reasonable debate and internet freedom according to Freedom House reports. However due to advances in AI bots are starting to get better at customer service than humans. Will 2018 be the year we pass the Turing Test on a help-desk call? This remained a big issue for business last year with major breaches in a range of industries from food retail, email, healthcare and governments. Companies spend increasing proportions of their IT budget on cybersecurity and introduce restrictive measure to protect their data (USB sticks are frequently banned for example), 2018 will be the year of innovation in cybersecurity as companies struggle to reassure customers that their data is safe. Social media will become even more commercialised, expect more of those ads on Instagram, and more promoted posts – and more ways to promote content – on all platforms as the pressure increases for the platforms to be profitable and for company use of social media to demonstrate a return on investment. This won’t be pretty. On the plus side we’ll see more tweaks on the platforms to encourage engagement; expect more platforms to adapt the Facebook emoticon model, and more uses of video and live-streaming. In an attempt to be more consistent with my blog posting I developed a content calendar, I’ve added the various “International Day Of…” dates that might be useful along with a few significant birthdays and events. I’ve added a few content ideas, and I’m sharing the framework so far in case anyone else finds it useful. As we say farewell to 2017, here’s a reminder of what the world thought was worth searching for – it’s a two minute film from Google based on search data. It’s like a time capsule of the year. We’re in the gig economy, we can order food, dinner delivered, or cookies delivered at midnight if you’re in New York. 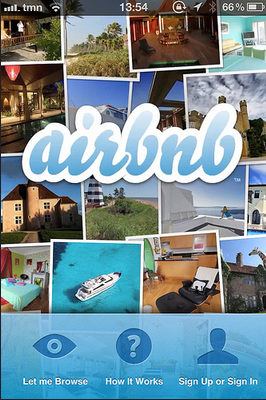 We can share our spare room for cash on AirBnB, our trips with Uber, or garden tools we’re not using. We can have someone visit us to hang a picture, build a bookcase or unblock a drain. In France you can have someone do your homework. The people providing the platforms say it unleashes innovation and offers exciting opportunities, it’s supposed to be good for us. The companies offering platforms to enable all of this are lauded as disruptive and for a long time new companies were launched and cited as “the Uber of X“, there is even a book called “The Uber of Everything” which has the positive-sounding subtitle “How the Freed Market Economy is disrupting regulated industries and delighting customers”. I’m all for disruption, but sometimes the disruption isn’t where you expect. Take AirBnB, there are a lot of articles about how AirBnB is disrupting the hotel industry, and it’s a service I’ve used in half a dozen cities. But it’s not the hotel industry that’s feeling the impact in Amsterdam, hotel nights are on the rise up 7% in Q1 2016, and numerous hotels have opened since airBnB launched in 2008. What has been affected is the rental market, with hundreds of apartments taken off the rental market. Amsterdam is not the only place to see an impact on the stock of rental apartments, and the city has now put limits in place. Uber started out as a ride sharing platform, and it has a lot of benefits in terms of lowering congestion, lowering car pollution, reducing parking problems in cities. It has, according to some reports, lowered the rate of drink driving. There are a lot of positives. But there is also a downside. The industry that Uber set out to disrupt is the taxi industry seeing it as over-regulated and ripe for reform. When I hear the term “regulated industry” I always myself “who benefits?” In the case of the taxi industry there was a certain amount of industry protection to stop new entrants into the market, which maintains higher taxi prices. However it also protected drivers, allowing them to have a reasonable work week, and it protected passengers because drivers were licenced – as opposed to the ‘random driver‘ you might get as your Uber driver. Uber drivers started out as freelancers, part of the gig economy, but many of them now depend on their Uber income and are starting to fight back with attempts to unionise in Seattle and New York. If we follow the money, it’s accruing to the platform owners. Uber’s revenue in 2016 is around USD6.5billion and AirBnB’s reached USD1.7billion. These two companies are doing very well out of the sharing economy. But there’s one platform that’s doing even better, Facebook earned almost USD27billion in 2017 almost all from advertising. Other platforms began in one form and have evolved to others. Amazon began as a retail outlet and Netflix as a movie subscription service. Both have evolved into content creators each with a huge, somewhat overlapping, customer/subscriber base. Although some local competitors exist, it would be almost impossible for a new entrant to compete with either platform on a global scale. This is fast becoming detrimental to those who work in creative fields. For digital platforms the economics tend towards a “winner takes all” outcome, that is we end up with a single monopolistic player in each type of platform that evolves. This is because even if there’s room for several players in a market, ride-sharing for example, a platform can outspend – or outsmart – competitors to acquire all the suppliers or all the customers. Once it has all the players on one side of the transaction it’s almost guaranteed acquisition of all those on the other side. Stakeholder management theory says that a company must balance the interests of employees, customers and investors otherwise business model not sustainable, but in the case of platforms there is an imbalance of power allowing them to focus on the interests of investors, particularly prior to IPO when they must satisfy the demands of the Venture Capitalists. It’s taken new regulation to protect the interests of consumers, employees and others affected by the platform’s success. 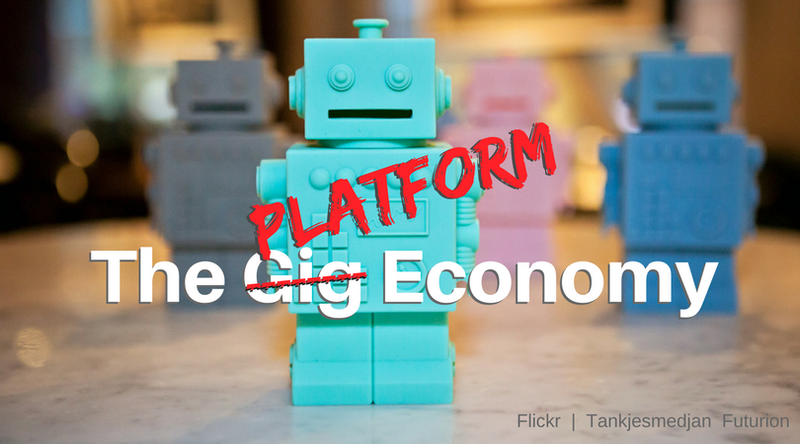 The gig economy is good for business, it’s not so good for workers. Right now I could order dinner to be delivered to me via Thuisbezorgd (the local incumbant), Foodora, Hungry, Deliveroo or Uber Eats. I predict that in one year’s time there will be just one platform.